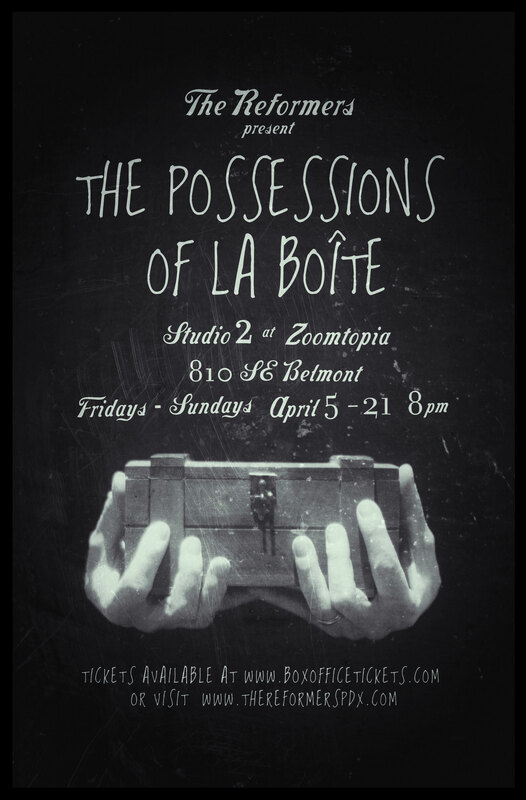 You can buy tickets to our show The Possessions of la boîte at the door or online here. We are hard at work bringing the piece together. We hope you’ll join us beginning APRIL 5th!